The SC628A is a high efficiency charge pump LED driver using Semtech’s proprietary charge pump technology. Performance is optimized for use in single-cell Li-ion battery applications. The load and supply conditions determine whether the charge pump operates in 1x, 1.5x, or 2x mode. 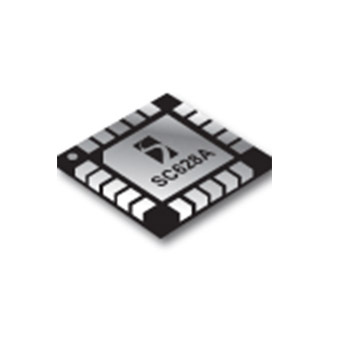 SC628AULTRT: Lead-Free, WEEE and RoHS Compliant, 3000 pcs, Tape and Reel only.